Americans are drinking more wine than ever before. 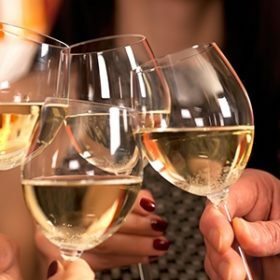 For the first time, research indicates there are more “core” wine consumers (people who drink wine at least once per week) than “marginal” wine drinkers. For the first time, the mean age of the core group is lower than that of the marginal drinkers, indicating that people are discovering wine earlier in life. For the first time, in 2008, wine sales are estimated to exceed 300 million cases. 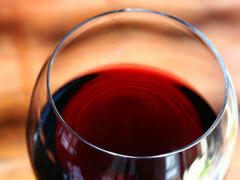 For the first time, adult per capita wine consumption will top 3 gallons per year. did. By 2007, those proportions were completely reversed: 57% of drinkers now drink wine. Consumption of imports and red wines are growing at slightly faster rates than consumption of domestic wines and white wines. Large volume, varietally labeled wines showing the largest sales increases are Riesling (+23.9%), Pinot Noir (+23.7%), Pinot Gris and Cabernet Sauvignon. Even faster-growing, but off smaller bases, are Malbec, Muscat and premium rosés. Young consumers—the so-called Millennials—skew toward higher price points and imported wines when compared to Gen Xers and Baby Boomers. Screwcapped wines now account for 4% of the market. An increasing number of consumers are purchasing wine online or going online to learn about wine. Winery online sales have tripled since 2000, and 60% of wine drinkers report visiting winery Web sites. Forty percent report visiting online media sites, like www.wineenthusiast.com/magazine, while only 18% report visiting various blogs.